In 2000 the Thomas Family purchased a farm on the Omihi hills and began work to create the Grey’s Peak vineyard. From the outset there was one goal; to realise exceptional wines from the unique terroir. 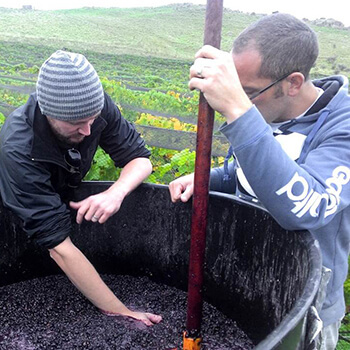 By 2004 with the help of Viticulturist Nick Gill they’d planted thirteen blocks across the Omihi slopes. Dom Maxwell became our winemaker and a team was formed in the pursuit of realising the potential of this exceptional site. The north facing limestone hills slope down to clay – the perfect combination for growing wines with minerality and concentration. 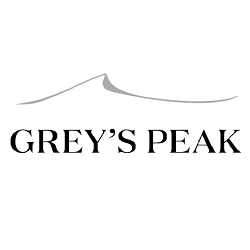 Grey’s Peak first wines were grown on the banks of the Waipara river but in 2004 the move came to the limestone and clay slopes of their newly planted home in Omihi. In 2008 the first wine was produced from here and over the years Grey’s Peak has grown amid accolades and acclaim to be recognised as one of New Zealand’s best wineries.We love this region and with our wines we aim to capture the essence of this site and reflect this in every bottle of Grey’s Peak. 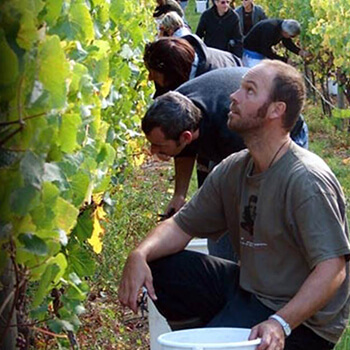 In early 2014 we began the conversion from conventional to organic viticulture. In 2016, we were named Vineyard of the Year in the New Zealand Organic Wine Awards. 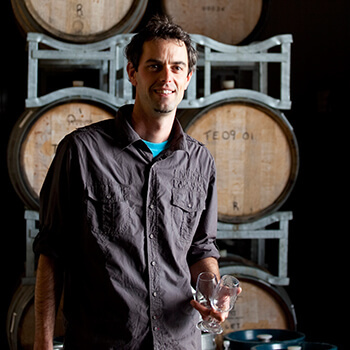 Dom Maxwell was recently named New Zealand winemaker of the year by Gourmet Traveller. Initially toasty with wild herb, cream and buttery undertones. Ripe stone fruit flavours adds to the complexity. Full-bodied with a chalky phenolic finish. Finer citrus notes provide energy and flow to the lingering palate. Deep dark plum colour with a nose of cherry and plum. Vineyard elements of spice and blue flowers shine through beautifully into the textural palate of expanding blueberry and ripened plum. Long fine-grained tannins threaded with subtle French oak smoke, support the fruit throughout. Full bodied and perfect for enjoying with food now or cellaring for 8+ years.